Who is St. Gianna Beretta Molla? "If you must choose between me and the baby, no hesitation; Choose—and I demand it—the baby, Save him!" Gianna Beretta Molla (1922 – 1962) was an Italian doctor, wife, and mother who refused to have either an abortion or hysterectomy when she was pregnant with her fourth child. Doctors had discovered in the second month of her pregnancy a fibroma tumor in her uterus. As a doctor, Gianna knew the consequences of not fully treating the fibroma. She chose the life of her child over her own. On the morning of April 21, 1962, a healthy baby girl was born, Gianna Emanuela. Her mother died of septic peritonitis a week after the birth. Gianna was beatified by Pope John Paul II on April 24, 1994, during the international year of the family and was canonized on May 16, 2004. 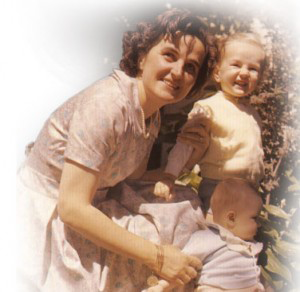 Read St. Gianna's short biography on the Vatican's web site here. Read St. John Paul II's homily from St. Gianna's canonization Mass here. The St. Gianna Beretta Molla Guild has been established by Human Life International to honor and recognize those friends who have made provisions for HLI's future through will bequests, gift annuities, life insurance, trusts or other planned gifts. The major focus of the Guild is to build HLI's endowment so that the funds will be available in the future for programs where the need is greatest. You can also make a planned gift to a specific program. The Guild acknowledges with grateful appreciation those who have chosen to make these commitments to the future. Membership in the St. Gianna Beretta Molla Guild is available to those who make provisions in their will or estate plans (gift annuities, life insurance, trusts or other planned gifts). Prospective members, who have already placed HLI in their will or estate planning or are in the process of doing so, are asked to send a copy of that portion of their will or other planned gift document that relates to HLI. The confidentiality of such documents is respected. Receipt of the documentation permits a review of the language and insures that your wishes will be carried out as you direct. While HLI is enthusiastic about giving public recognition to all members of the St. Gianna Guild, individuals may request and receive anonymity. Contact Stan Kuta at 540-622-5272 or skuta@hli.org.